PARTY ON. The new, alcohol-free Rehab in Menomonie doesn’t serve alcohol anymore, but it has live DJs, pool tables, and even a Wii for gamers to enjoy between dance floor visits. 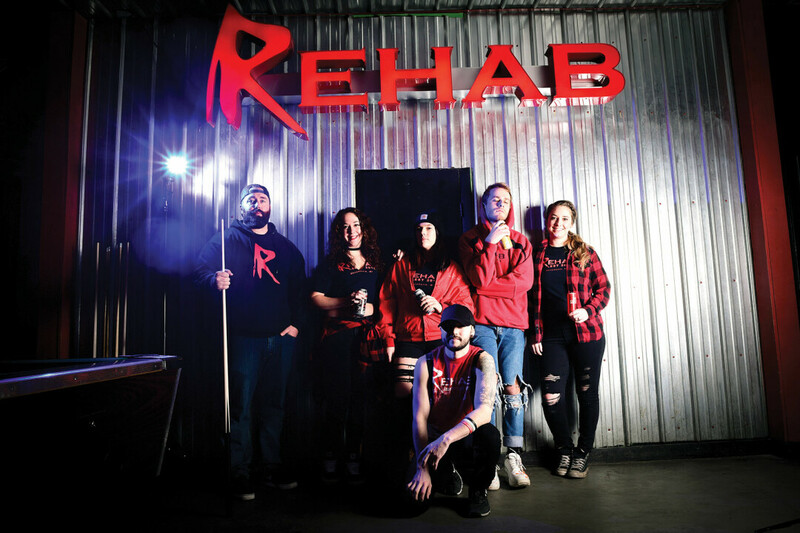 After a four-month closure beginning in the spring, Rehab (631 Broadway St. S), formerly a bar in downtown Menomonie, reopened at the beginning of October as an 18-plus club.As the venue’s Facebook cover photo says, “Rehab went to Rehab” – in other words, the establishment no longer serves alcohol. The city of Menomonie notified Rehab owner Dave Zempel of its refusal to renew the establishment’s liquor license after a May 21 City Council meeting. A little more than a month earlier, police found 45 individuals younger than 21 years drinking at the bar. The city granted Rehab a dance hall licence in August, permitting the location to reopen for music and dancing. Rehab is open Thursday-Saturday from 11pm-4am. Live DJs J A C U Z Z I and Nikki Herdahl keep the music bumping from midnight to close for guests to dance and hang out to. The venue is home to non-alcoholic pong games, pool tables, darts, skee ball, and a few other activities, and serves standard and cannabis-based energy drinks. “People are dancing before they even pay at the door,” said Brittany Andrews, who has worked for Rehab for more than three years. She sees the 18-20 year old crowd come in earlier in the night, and 21+ individuals filter in after hitting up local bars. Allowing 18-year-olds into the venue has increased opportunities for student organizations from UW-Stout to work with Rehab for fundraisers and other events. The Stout Retail Association, Qube, and Love Your Melon have all collaborated with the club since it reopened. Zempel worries that the availability of fake identification will encourage some of the underaged market to continue frequenting bars illegally rather than partying at a liquor-free establishment, but he has high hopes for Rehab’s new look. “I think it will be successful, but I think it will just take some time for people to understand this concept,” he said. Rehab is currently the only social venue of its kind in the Chippewa Valley. Zempel describes the joint as “an upbeat dance and social club directed at 18+ year olds for a fun, safe environment.” In a region whose nightlife is fairly bar-centric, Andrews and Zempel believe they’re filling an important niche.